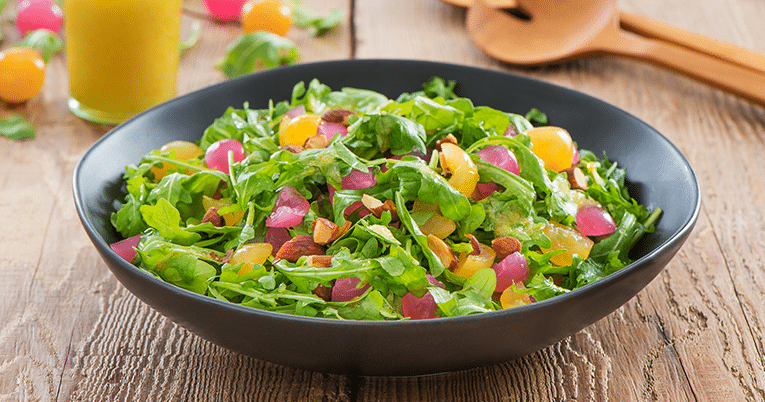 Combine cherries, arugula, and almonds in a large bowl. Drizzle with the vinaigrette; toss to coat. Combine cherries and white balsamic vinegar in a blender; pulse on high speed for 3 minutes. Slowly add olive oil; pulse until emulsified.